Haryana Staff Selection Commission (HSSC) has again revealed a job notification for the empty posts of Heavy Vehicle Driver and Conductor posts. From the notification, it is clearly noted that overall vacant positions to be filled in State Transport Department are 2698. However, to apply for HSSC Recruitment 2017, aspirants have to meet complete eligibility criteria through this page or by downloading HSSC Heavy Vehicle Driver Notification 2017 for the Conductor Post Notification. The notification is out now and the closing date for applying online is 24th June, nevertheless, ending date for fee submission is 28th June 2017. Read further details beneath. Once the selection is over, the selected competitors will get a Rs. 5200-20200/- which is same to the salary given to aspirants selected for Conductor post, still the grade pay varies (below). Mode of choosing suitable candidate includes Interview. The pay scale is same for both vacancies; however, grade pay is different. Also, there applies the age limit which is not the same for both vacancies. The mode through which applicants will be applying is online. From 25th May, registrations are open and are allowed until 24th June, whereas the fee can be submitted by 28th June this year. Upload all required documents to the authorities to give the best you could. Selected applicants will be posted to Haryana as it is where they will be doing their job. Heavy Vehicle Driver: Candidates must possess a Matriculation certificate along with a 3-year heavy transport vehicle experience and the licence. Conductor: Postulants need to hold a Matric along with the knowledge of Hindi/Sanskrit up to 10th Class or above. Driver: Pay scale is Rs. 5200-20200/- with G.P. of Rs. 2400/-. Conductor: Pay Scale is same i.e. Rs. 5200-20200/- but Grade Pay is Rs. 1900/-. General candidates (Male) have to pay Rs.100/-. The general candidates (Female) who belong to Haryana state have to pay only Rs.50/-. The reserved (Male) candidates of Haryana have to submit Rs. 25/-, whereas, the Female reserved candidates of Haryana need to pay Rs. 13/-. 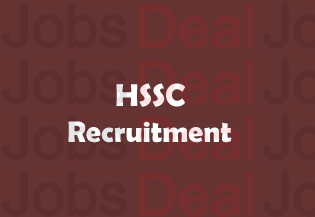 How to Apply for HSSC Vacancy? Anyone who is interested in applying can first visit the main site www.hssc.gov.in from 25th May 2017 because online application form will be accepted from that date and will be accepted until 24th June 2017. The fee submission is to be done before 28th June 2017 through different gateways available. This is amazing announcement done by the Haryana Staff Selection Commission which is full form of HSSC. Taking the rising unemployment into consideration, the Government of Haryana has taken this decisive step towards the latest HSSC Recruitment 2017 along with an official advertisement available on its official website. To stop joblessness in the state, the government published Haryana SSC Supervisor/Forest Guard Notification 2017 online which reveals that there are around 2508 vacancies that contenders like you can take advantage of. 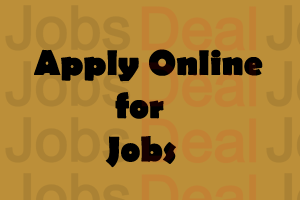 Through availing this job opportunity, you will no longer be without a job. As far as the notification is concerned, there are total 2508 vacancies that include Water Pump Operator, Supervisor (Female), Assistant, Forest Guard, TGT Sanskrit, Pipe Fitter Grade, Electrician, and various other vacancies. If you are willing to participate in this recruitment, you will need to do as exactly as we tell you to. The commission has announced a notification called as “Advt. No. 7/2016”. The procedure for submitting Haryana SSC Online Application Form has not begun yet, it will start on 16th January and end on 15th February 2017. But, the notification of HSSC is downloadable. All you need to do is follow the links available at the beneath-provided section. The interested applicants can only fill Online Application Forms before the ending date. After that, the link to apply online will be disabled. The educational qualification for participating in this recruitment is different; you will have to download the notification to get full detail. The mode of applying for this vacancy is online. If you try to submit forms via offline, they will not be accepted in any way. If you are interested in downloading HSSC Forest Guard/ Supervisor Notification 2017, please use the link which is furnished at the bottom. This will give you a crystal clear idea of overall vacancies, their educational requirements, age limits, selection procedure, and much more. This is because the given pay scale and all other details are varying as per various jobs. You will be able to download this advertisement in PDF format that makes it easier to handle it. Also, you can have a look at the table that we have rendered above. Age Limitation: The contenders who wish to apply online for these vacancies have to be under the age limit of 17 years to 42 years. However, the relaxation in age will be gifted by the government. Educational Qualification: Those who are attentive towards this job opening must have completed their Graduation, Post-Graduation, Diploma and other experiences. Application Fee: The fee is different according to Male and Female candidates and their categories. So, better have a look at the notification. The candidates will be shortlisted on their performance in the Written Exam followed by Personal Interview. Once the selection procedure ends, the shortlisted ones will be given an amazing salary. Admit Card: The commission will shortly announce the admit card/ hall ticket/ call letters on the scheduled dates. Result: Appearing for the exam, you will be able to know your scorecards. Important: Before applying, read all details regarding Haryana SSC Water Pump Operator Eligibility Criteria 2017 carefully using the notification (download at the end). Begin by visiting the authorised web portal, which is “www.hssc.gov.in”. After that, you have to download the notification from there/ use the direct link below. After getting advertisement, check out all “Eligibility Criteria” details carefully. Having understood the requisites, what you will have to do next is fill up applications forms after the given date. Also, pay the fee as per your category before the last date of fee submission. Finally, submit your form and save it so that it can be utilised for later usage. If you are stuck in anywhere while applying for HSSC Recruitment 2017, please let us know so we can tell you about the solution. For more updates on Admit Card, Result, Answer Key, etc., please continue browsing. Please share this article with your friends also!